Whatever your moving needs may be, Meathead Movers will help you feel at home in Culver City Movers. Our professionally trained student-athlete movers and our moving concierge will be with you for the entirety of your move to Culver City Movers. With its rich movie history, Culver City is a great place to call home. If you’re moving to Culver City, you’ll want to check out the services that Meathead Movers has to offer. Culver City is a place that many have not heard of but have unknowingly seen. Located in Southern California, Culver City is the home to several major movie and television production companies, serving as the home base for various film projects. Incorporated in 1917, Culver City was initially just a stop along major transportation routes. However, in 1918, the city became home to a film production company, and the city established its enduring legacy. Throughout the 1920s, Culver City boomed with the silent film business, and the city is now the home of MGM and Sony studios. Many major film and television productions have been filmed in Culver City, making the area a hot draw for Hollywood enthusiasts. One of the most popular sites in town is the Culver Hotel, which was built in 1924 and has housed numerous celebrities during their filming jaunts. While film and entertainment bring business to Culver City, this city of almost 40,000 people has plenty more to offer for those looking for a new place to call home. 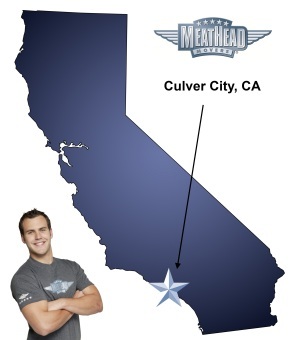 If you are considering a move to Culver City, Meathead Movers is here to help! We have a wide range of moving services and can handle long-distance, commercial, and local moves. We are equipped to help with packing, loading, shipping and storage. In addition to standard services, Meathead Movers has the best movers in the industry. This is possible because we recruit student athletes and hold all employees to the highest standards. Not only are all employees expected to stay free of smoke and drugs, but they are also expected to practice the HUSTLE difference. This means that our movers will jog when they are not carrying anything, showcasing their stamina and dedication while also saving you valuable time and money. Other Culver City movers may be able to get the job done, but to get the job done right, Meathead Movers is the obvious choice. Contact us today for your free quote! Moving to Culver City? Here are some helpful resources. “Very helpful and courteous movers. Handled our requests for moving furniture inside new home professionally. View more Culver City resources. Outline day of move instructions clearer. I really enjoyed the young men and women that came to us . You should be proud of them!!! Very attentive to our needs. People are very nice. Prices are competitive. This is the second time we have used your company. Meathead Movers, as a company, was extremely professional, flexible, and timely. They scheduled a move 72-hours in advance and were cooperative with delaying the movers’ arrival, day of, when my shipping container was delivered late. My two movers, Daniel and Angel were friendly, prepared, on time, and fast—they had everything for my 1BD, split-level apartment inside in about an hour with absolutely no damage. Cannot speak highly enough about Meathead Movers; it was an affordable, well-worth-it moving solution to welcome me to the Los Angeles area.